November | 2012 | Welcome to the world of NECCO! 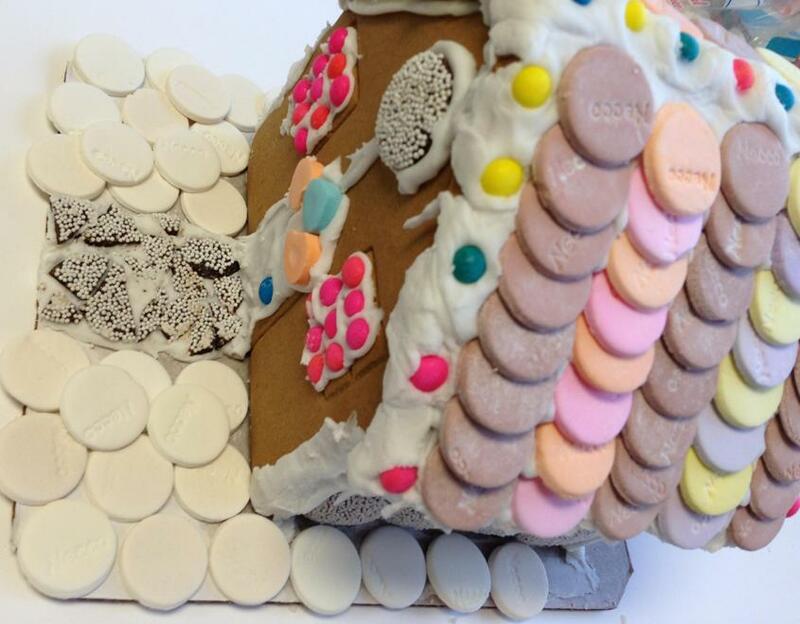 – Build a Gingerbread House using any of our NECCO candies! 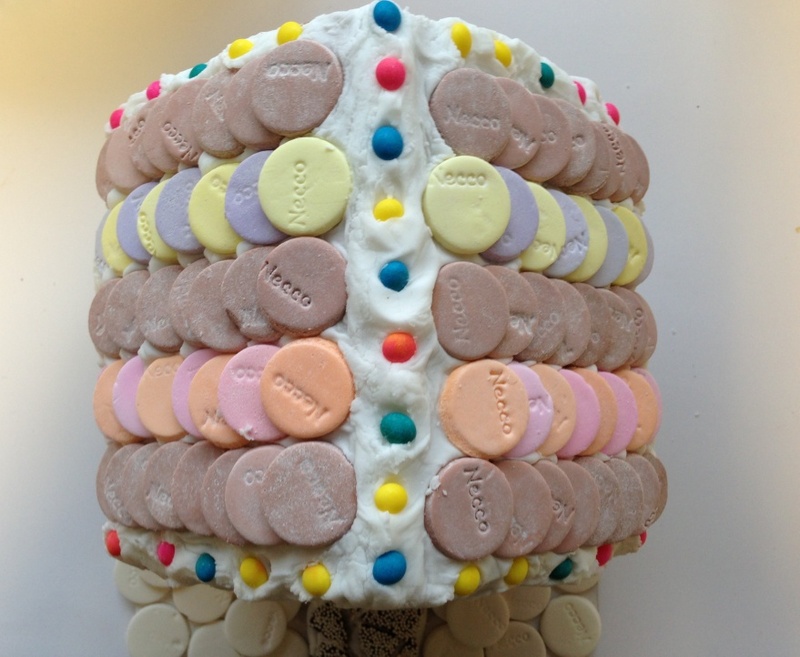 Get creative here – don’t limit yourself to just NECCO Wafers… use Candy Buttons, Nonpareils, Mary Janes, etc. Let’s see what you’re creative genius is capable of! – Vote by LIKING your favorite Gingerbread House on Pinterest. Be sure to tell your family & friends to vote too – most likes wins! For the complete rules, Terms & Conditions, please click HERE! Categories: Christmas, Contests, NECCO Fans! 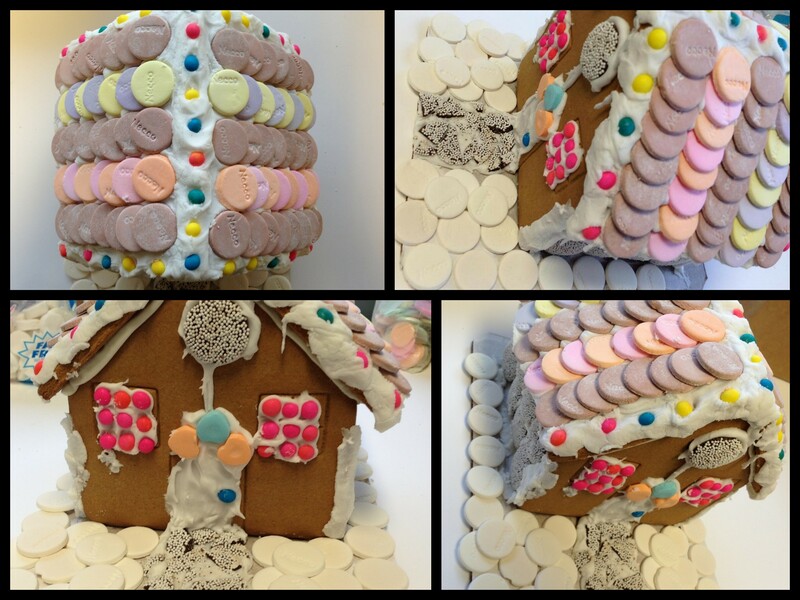 | Tags: candy, chocolate, christmas, contest, crafting, decorating, diy, Gingerbread Construction Zone Contest, gingerbread house, NECCO, necco wafers, new england confectionery company, Pinterest | Permalink. Can you believe it’s Thanksgiving already? And before we know it, we’ll be rushing around picking up everything we need for the holidays. Many of us venture out the day after Thanksgiving, a day affectionately known as Black Friday, and try to scoop up as many gifting deals as possible. At NECCO, we couldn’t resist jumping in on the fun! In fact, we might be having the SWEETest Black Friday of them all! 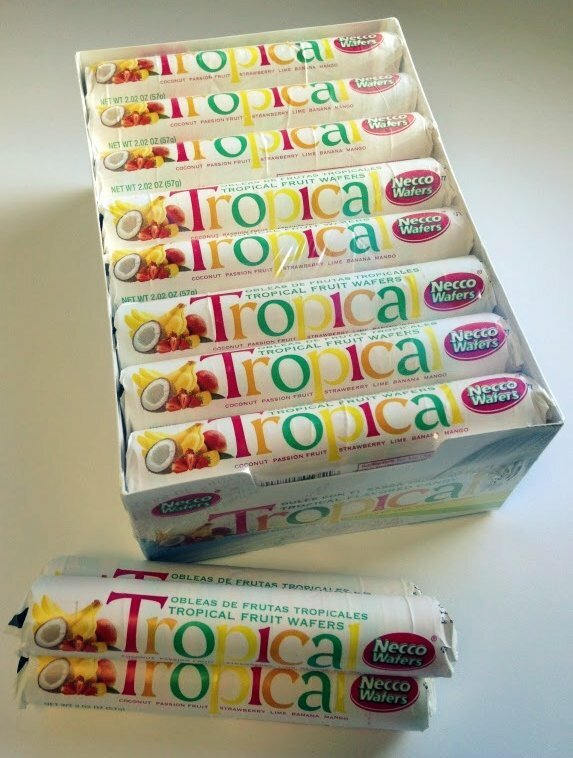 That’s why this Black Friday, on Twitter, we will be giving away FIVE cases (24 rolls in each one) of our newest, soon-to-be released candy: Tropical NECCO Wafers! It’s a bold and refreshing twist on our classic Assorted Wafers! The flavors included are Passion Fruit, Strawberry, Mango, Banana, Lime, and Coconut! On our Twitter account @neccowafers (twitter.com/neccowafers) we will be hosting 5 random drawings, so be sure to check back to our Twitter account. You must be one of our followers to enter and be eligible to win. We will have 5 Drawing Periods and at the beginning minute of each hour, we will Tweet a message that you simply must ReTweet to be eligible for the giveaway! Find the full Rules, Terms & Conditions here. Categories: Giveaway | Tags: Black Friday, candy, giveaway, NECCO, necco wafers, new england confectionery company, tropical, Tropical NECCO Wafers, Twitter | Permalink. Are you rushing around trying to get everything together for Thanksgiving tomorrow? Looking for an easy, last-minute recipe to bring to the feast? 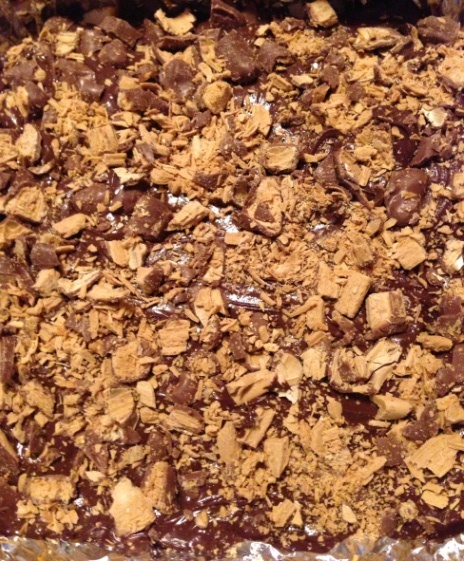 Well we have a simple no-bake solution for you: Clark S’mores Bars! It’ll be a marshmallow-caramel-chocolate-y treat with the perfect hint of peanut butter that you won’t be able to resist! Perfect post-feast treat for everyone of all ages! Line the 9×9 baking pan with the aluminum foil. It should wrap over the sides as you’ll be adding several layers to this treat! 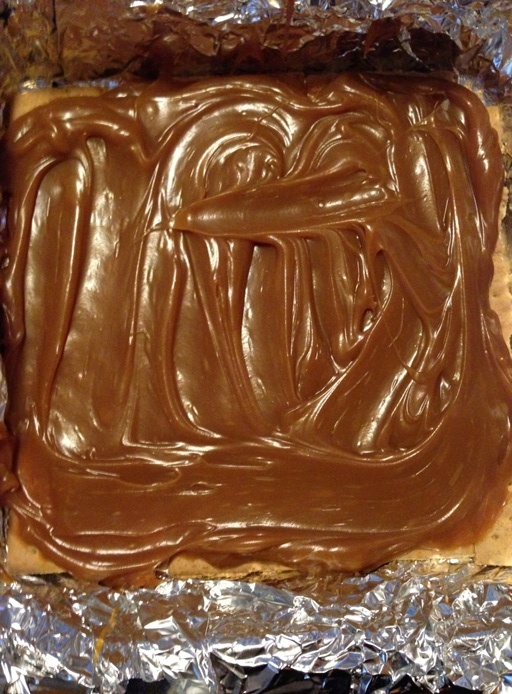 Line the bottom of the pan with the graham crackers. Note: In order to line the entire pan, you will need to break or cut several of the crackers to fit. In the microwave in one of the microwave-safe bowls, melt the caramel in 15 second intervals until it is able to be completely stirred smoothly. Pour almost all of this melted caramel over the graham crackers. 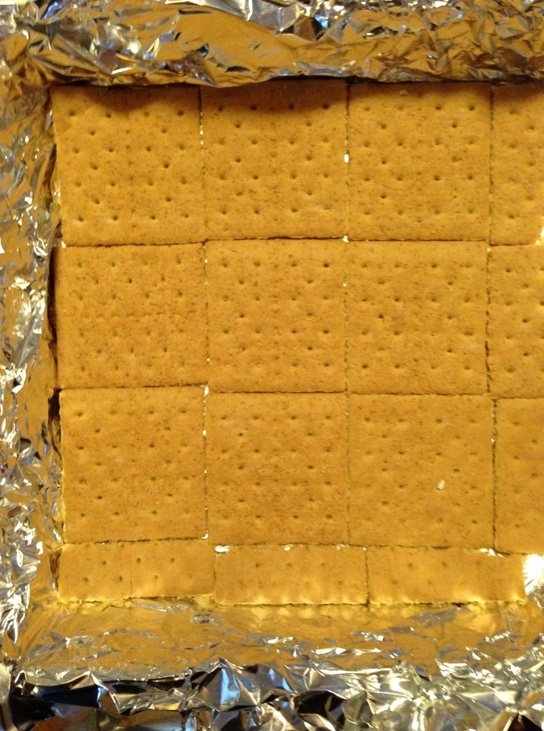 Use your spoon or spatula to make sure the graham crackers are covered completely so the additional layers will stick securely to the crackers. Leave a small amount of caramel for another thin layer. 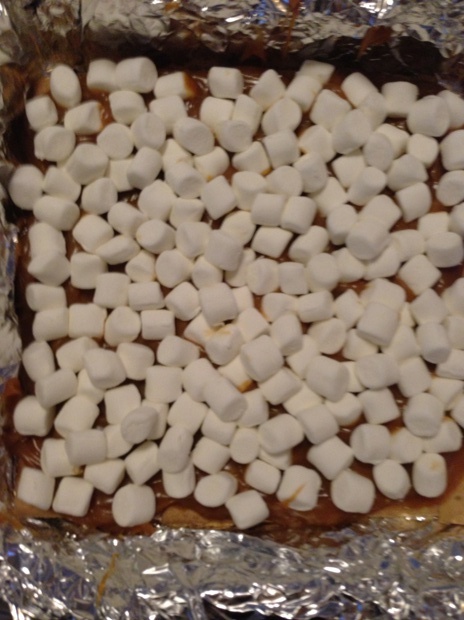 Evenly spread a layer of mini marshmallows on top of the caramel layer. 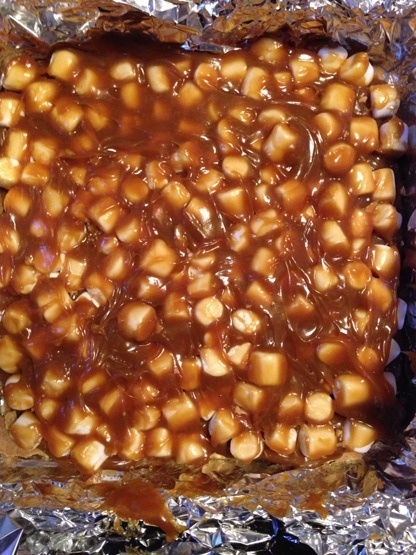 Use the remaining caramel to lightly drizzle a layer over the marshmallows. Some of the marshmallows will melt slightly, this is okay! It helps create a gooey, delicious treat! In the second microwave-safe bowl, melt the semi-sweet chocolate chips in 15 second intervals. Be sure to stir thoroughly so the chocolate does not burn! 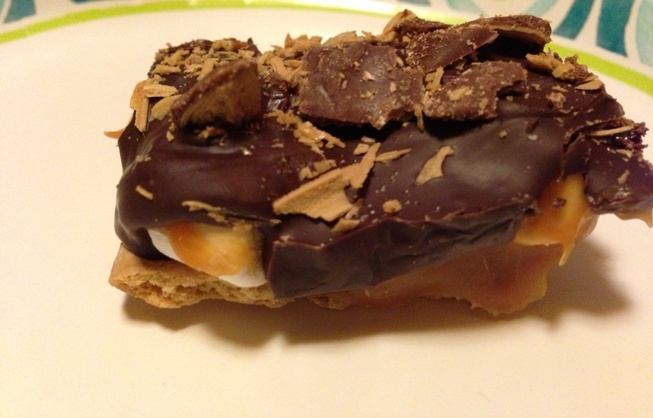 Pour this chocolate over the caramel & marshmallow layers. Use the spoon to create an even layer all the way across. 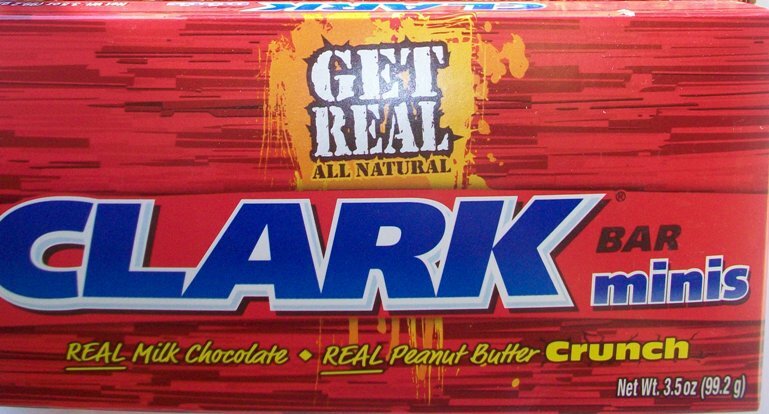 On the cutting board, coarsely chop up the Clark Bars into chunks. Lightly sprinkle these across the top of the chocolate layer. Place in refrigerator to chill for at least 2 hours or until completely set. 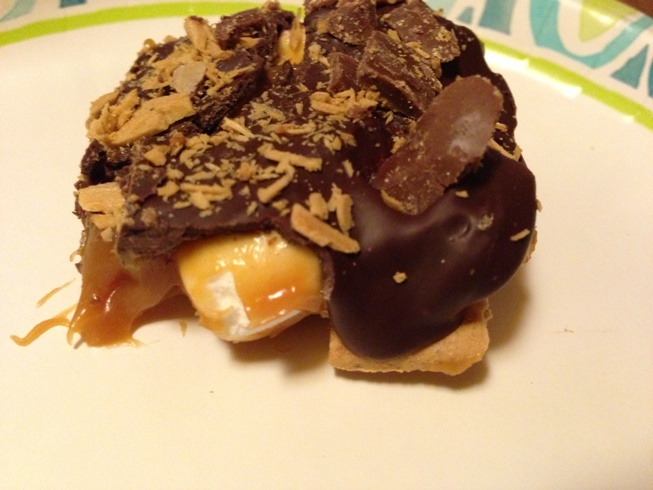 Categories: Recipes, Thanksgiving | Tags: bars, caramel, chocolate, Clark Bar, dessert, graham crackers, marshmallows, mini marshmallows, NECCO, new england confectionery company, no bake, s'mores, Thanksgiving | Permalink. Monday evening, NECCO had the pleasure of appearing as one of the select few vendors at EMARC’s 18th Annual Tucker Gala held at the lovely Peabody Marriot! EMARC is a wonderful charity organization which provides programs and support to both people with developmental disabilities and also their families. They strive to empower these individuals and help them build better lives. We were extremely fortunate to have been invited to have a table right outside the ballroom at the event. Alongside many other local Massachusetts companies, we served treats to all of the wonderful attendees throughout the evening. 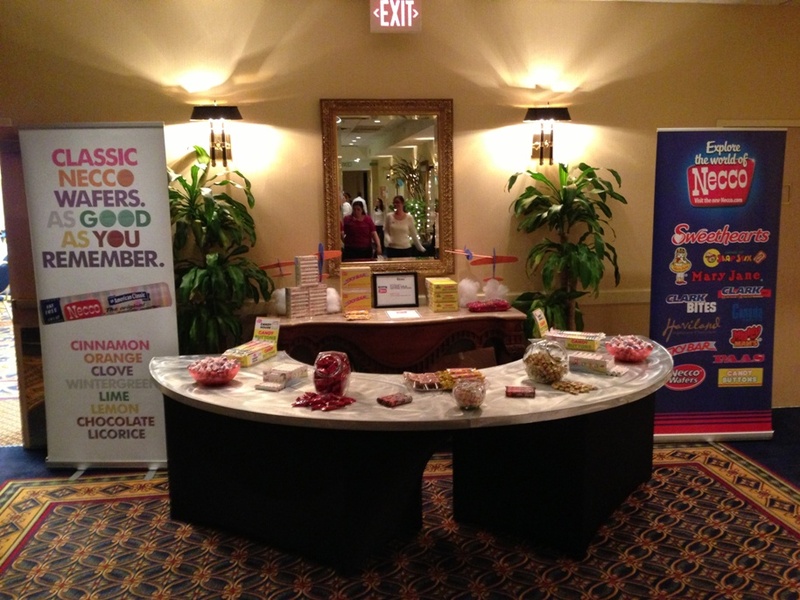 We brought a mix of our many candies, from Sky Bar to Slap Stix to NECCO Wafers and most everything in between! 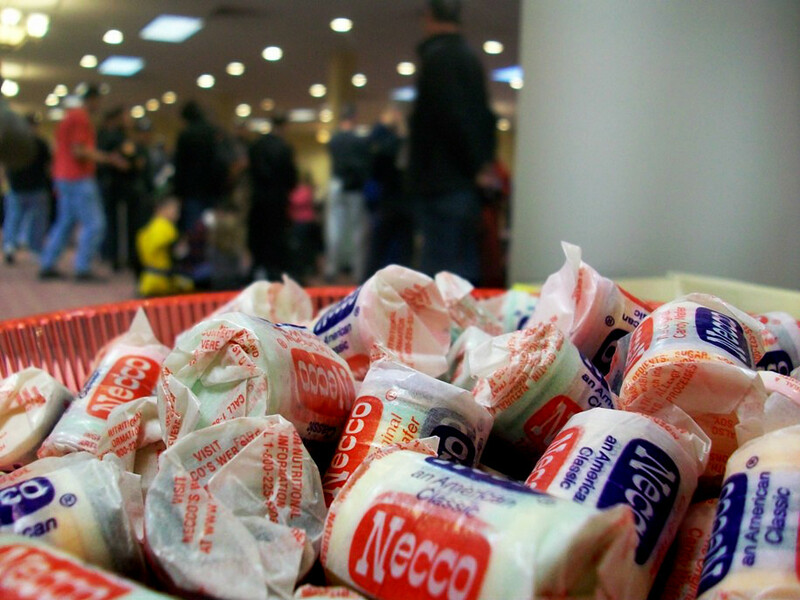 Throughout the night, the guests shared wonderful stories about their lifetime experiences with NECCO candies. It was a pleasure to be greeted frequently with bright smiles and happy memories! 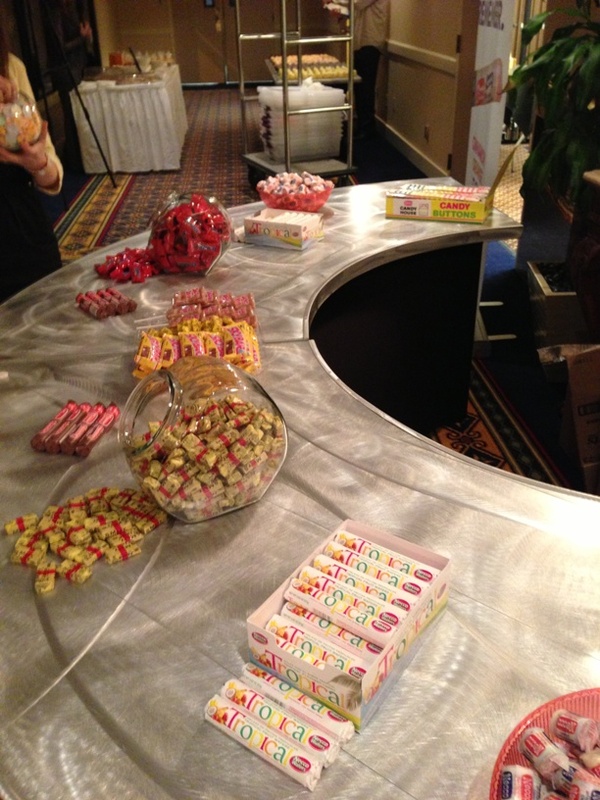 While we reminded guests that we proudly still make all of their childhood favorites like Mary Janes and Candy Buttons, we also took this time to introduce some new NECCO initiatives! 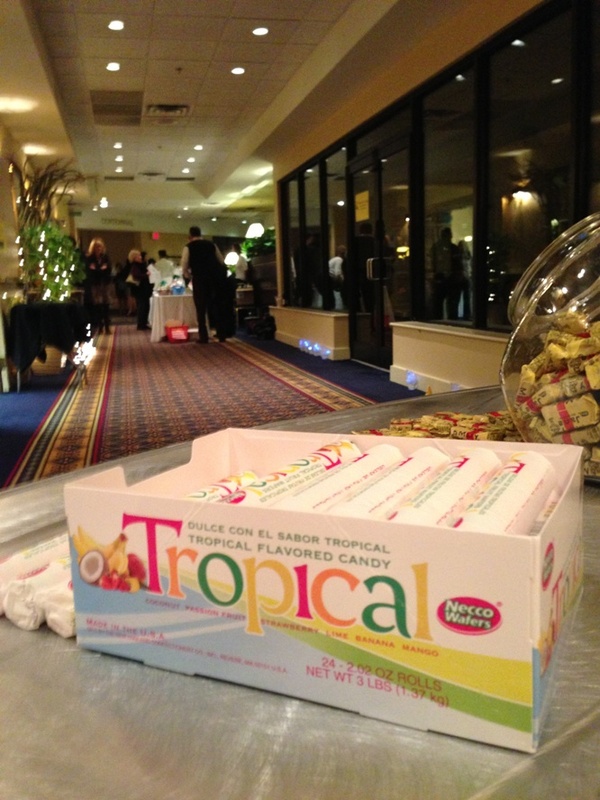 To satisfy each attendee’s sweet tooth, we brought along one of our newest candies: Tropical NECCO Wafers. It was so great to see the excitement that the not-yet-released candy created as guests reacted to the bold, fruity flavors. We even had several repeat customers come back to our table for a second [and third 😉 ] sample! We cannot wait for all of our fans to get to try them soon! 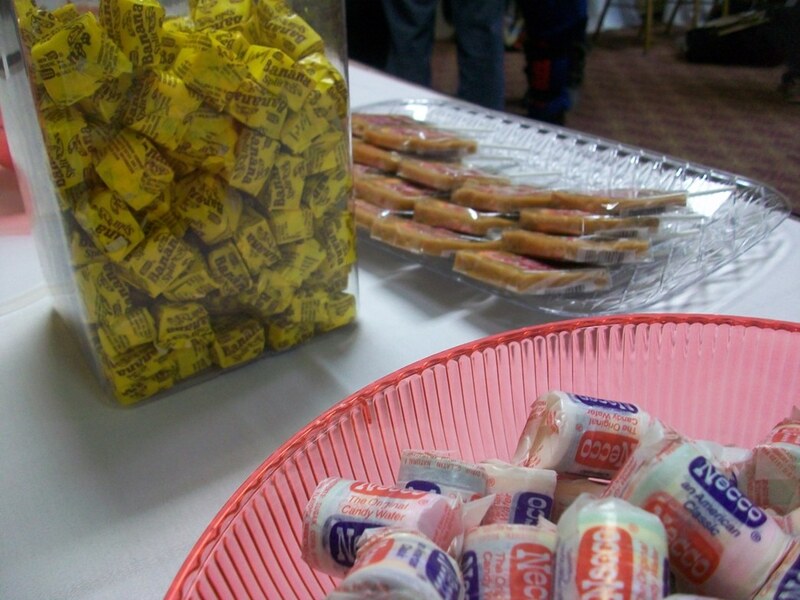 In addition to our Tropical NECCO Wafers, we also brought along some samples of our classic assorted NECCO Wafers and Sweethearts… but with a catch. 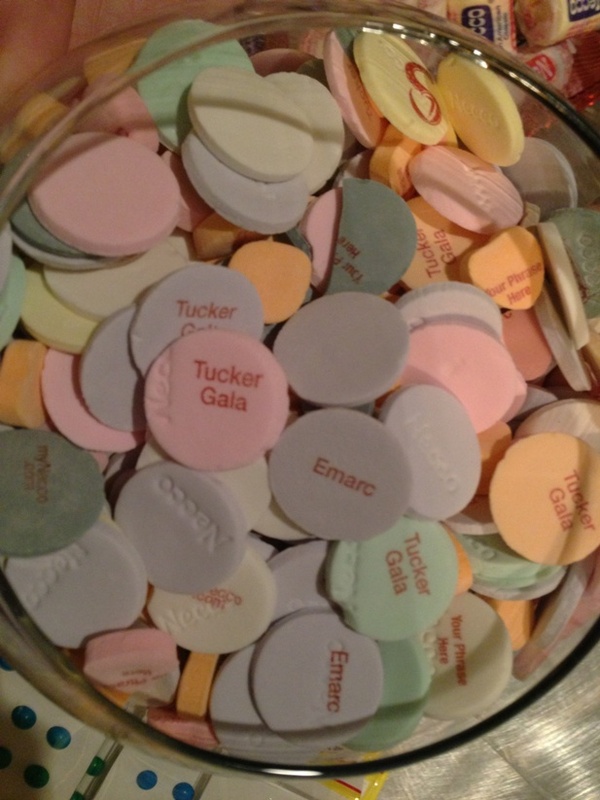 =) These particular candies had some extra special text printed on them, such as “Tucker Gala” and “Emarc,” to display our newest venture: customized candies!! In one week, on November 12th, we will be launching a new web-store exclusively for customizing NECCO Wafers and Sweethearts with both print and some imagery: a perfect gift for so many occasions. More info will be released soon; we are very excited! Again, we were so happy to participate in EMARC’s Tucker Gala, a time honored tradition which benefits such a wonderful organization that positively impacts our community through its hard work and caring initiatives. We are fortunate to have a relationship with this organization, and we are looking forward to the future! Categories: Events | Tags: Banana Splits, Clark Bar, custom candy, EMARC, NECCO, necco wafers, new england confectionery company, nostalgia, Sky Bar, Slap Stix, Tropical NECCO Wafers, Tucker Gala | Permalink. On Sunday we spent the day at Cervizzi’s Martial Arts Academy‘s Superstar Challenge Tournament in Peabody, MA. The event began in the morning and stretched through to the early afternoon as dedicated competitors exhibited their extensive training in a wonderful showcase of their abilities. Over a hundred athletes participated in the event, and they were accompanied by many happy friends and family! The atmosphere of so many individuals who are incredibly loyal to their craft and the community it builds was wonderful to experience. NECCO was fortunate to participate by serving the crowd at the tournament. 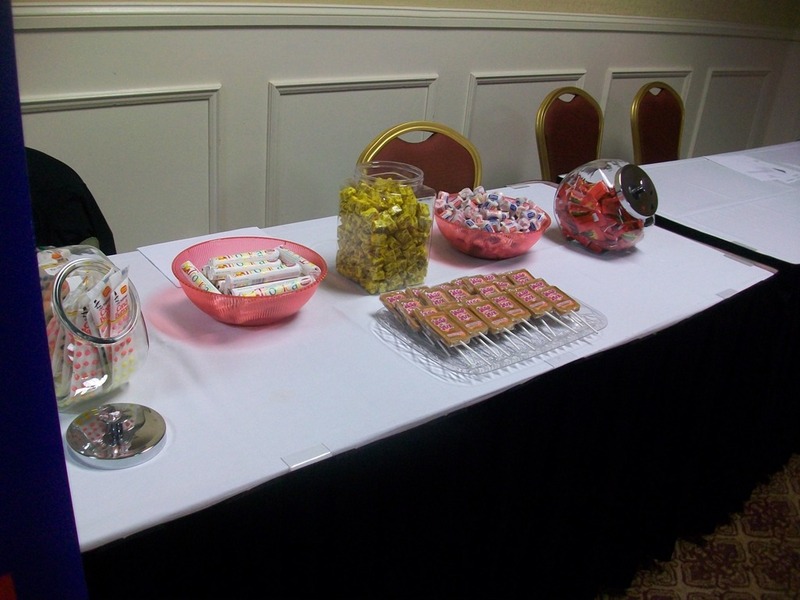 We brought a mix of our favorite sweets to fuel both the competitors and their supporters throughout the day. Though we brought the candy, many of the guests definitely brought the cheer! The smiles and laughs upon seeing the sweets, especially from the littlest competitors, was wonderful to see and a reflection of this great tournament! 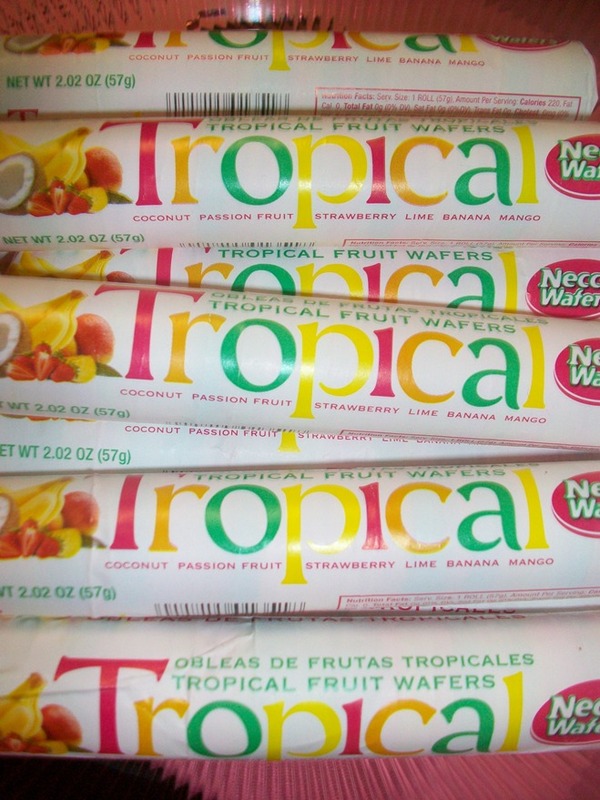 In addition to the classic candies we brought (Slap Stix, NECCO Wafers, Candy Buttons, and Banana Splits) we also treated guests to one of newest and most exciting candy creations: Tropical NECCO Wafers! We heard such great reactions to the bold, delicious fruity flavors that we just can’t wait until everyone gets a chance to try them! In the end, we were so fortunate to have had the chance to appear at Cervizzi’s Martial Arts Academy’s tournament. The community was extremely welcoming and kind, and we were proud to serve them a mix of our favorite candies. Thanks to all who participated! Categories: Events | Tags: banana split, candy buttons, martial arts, NECCO, necco wafers, new england confectionery company, Slap Stix, Tropical NECCO Wafers | Permalink.